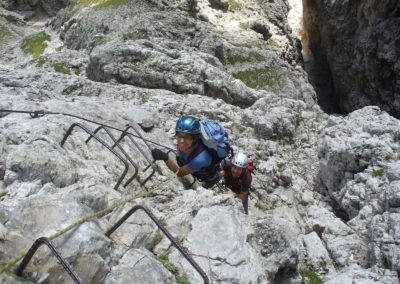 A route equipped with metal cables, half way between hiking and alpinism. 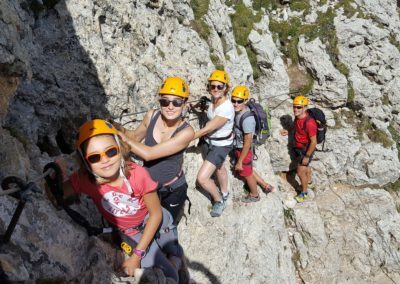 They started off with the aim of leading people along the old military itineraries built during the First World War, then they took a more “sporty” direction. 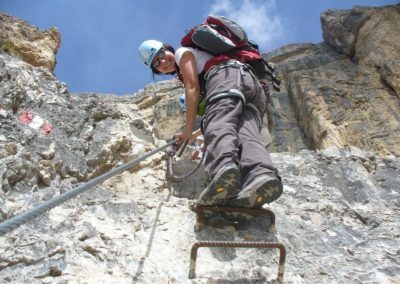 Nowadays this kind of itinerary is very popular among hikers, because they bring a great amount of satisfaction, especially compared to a normal walk. 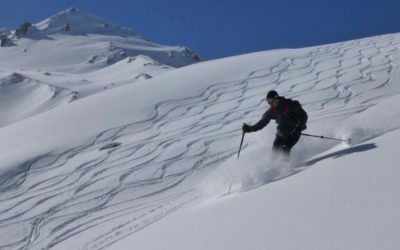 To tackle this kind of activity it is necessary to take into consideration the fact that many of these routes are exposed and need specific equipment and a minimum amount of technical and athletic preparation. 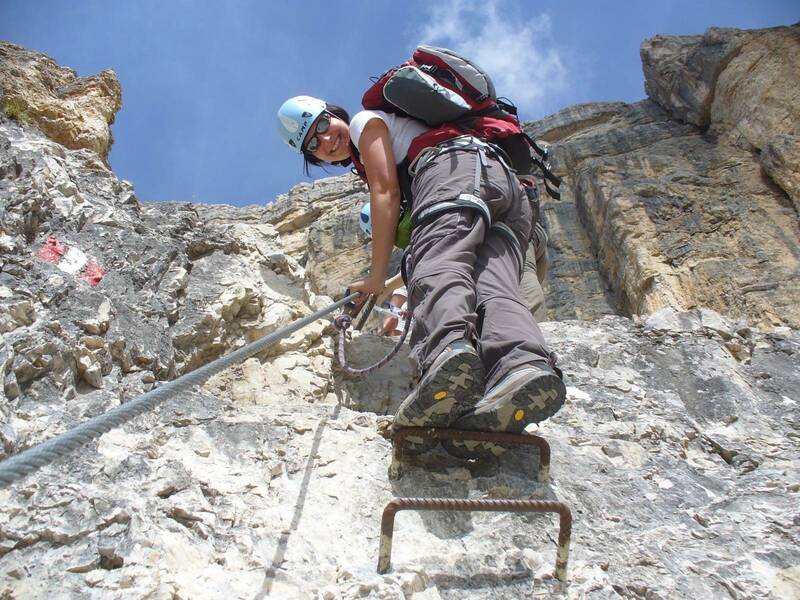 I organize group outings or personalized outings offering various levels of difficulty depending on the participant’s physical fitness and experience. Ferrate lasting one day, or with an overnight stay in a mountain hut, or even traverses lasting a few days. 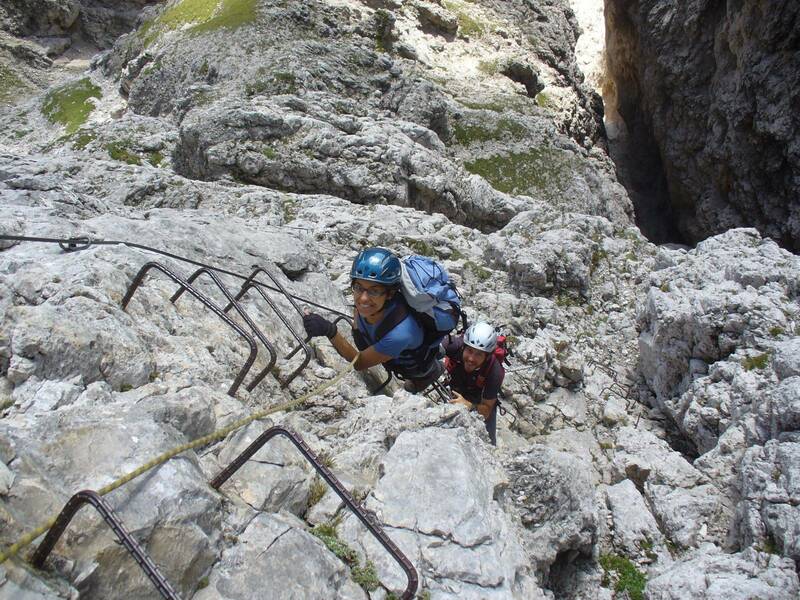 The Dolomites are the perfect place for this kind of activity. 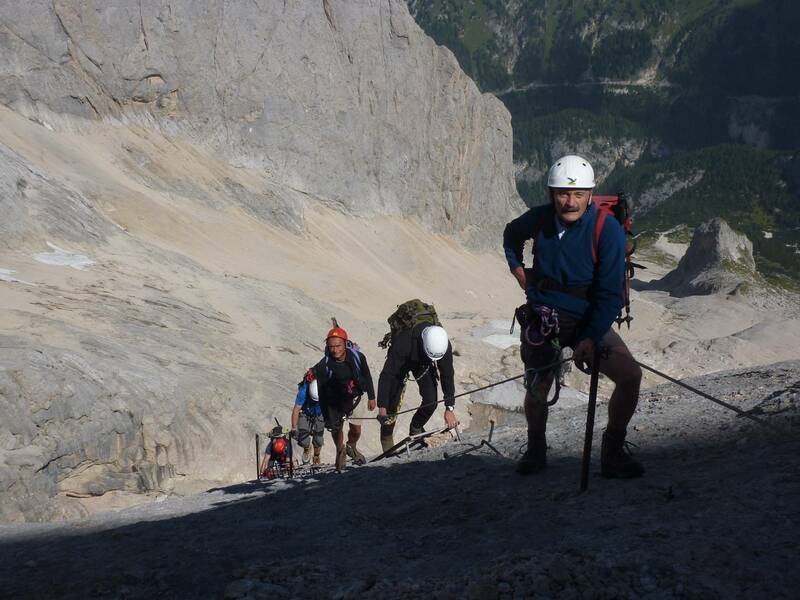 All the necessary gear will be made available by the Mountain Guides. 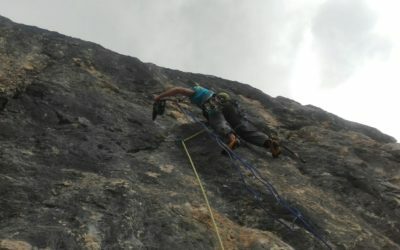 I organize courses for people interested in approaching the world of vie ferratas, to help you move safely along this kind of terrain and teaching you how to use the gear correctly. 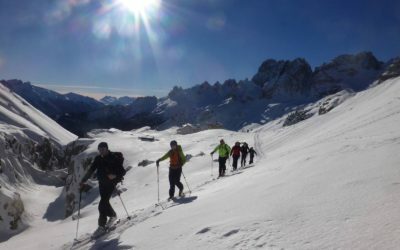 The aim of this course is to help hikers get to know the world of via ferratas, we will teach you how to move safely on equipped itineraries, and we will teach you how to correctly use the necessary gear. 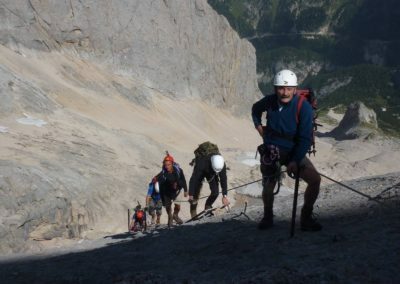 The course will take place in the Sella group and Marmolada group, both known for being among the most beautiful mountain groups in the Dolomites. 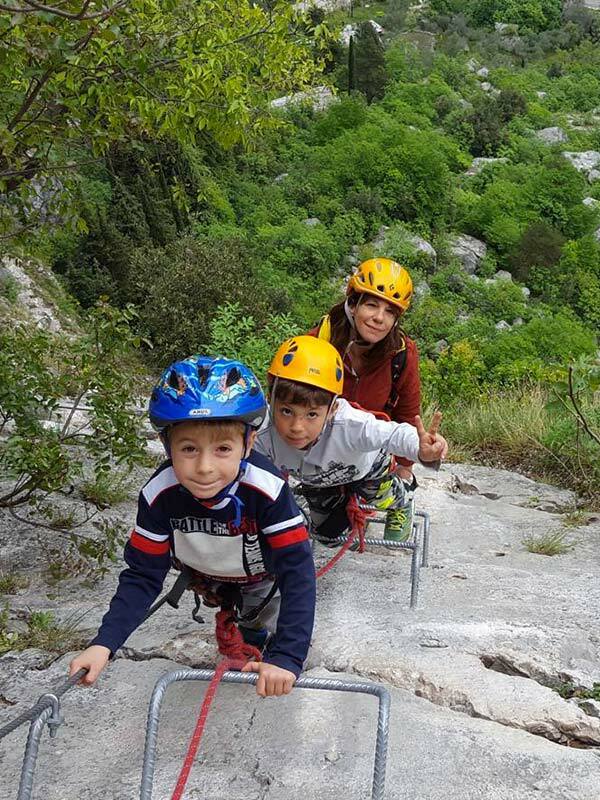 Let’s share the experience of a via ferrata! I organize group outings or personalized outings with various levels of difficulty depending on the participants’ fitness level and experience.